As soon as the weather warms up, naturally we all want to get outside and enjoy the sun. It’s a great excuse to get out in the garden, invite friends and family over, and have a BBQ. 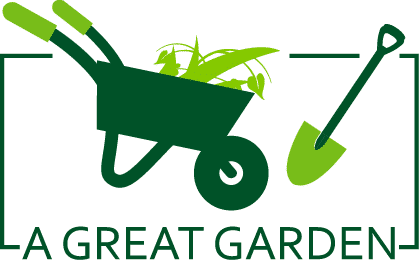 However, after the colder months, most gardens are looking a little worse for wear and could do with a pick me up before playing host to any BBQ’s or gatherings. We’ve come up with a few ideas to make sure your garden is the place to be this summer. Updating your garden furniture is a simple way to give your garden a refresh, and even incorporate a new theme. Whether you’re choosing a garden sofa, a new table and chairs, or benches to put at various spots around the garden, there are many options available. And with lots of waterproof styles, you can relax a bit more with your choice. Think about how you want your garden furniture to add to your garden. Do you want a patio chair, an outdoor trampoline (like these ones as seen on Trampolinea.com), or maybe even an above ground pool ? Do you want it to accommodate lots of family and friends for hosting? Or do you want something smaller and comfy for just a few people to quietly soak up the sun? You could even add a seat or two in a tranquil space as a mini escape for the end of a busy day. In the warmer months, your lawn can become high maintenance as it grows quicker and requires mowing regularly. Weeds pop up that need dealing with, and watering is a daily task. Making sure your lawn is presentable is a tough job, so it’s no wonder many homes are switching to artificial grass instead. For mowing the grass of garden, you can use zero turn lawn mower for better performance. Once installed, the benefits are quick to see. 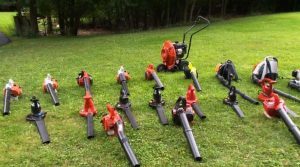 You can say goodbye to the lawn mower, weed killer and the daily task of watering, because you won’t need any of them anymore! 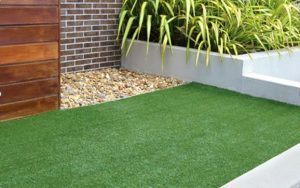 Artificial grass is easy to maintain, meaning you’ll be garden ready for any warm weather hosting! A patio or decking is a good way to separate an area of your garden off for seating and spending time. Most homes tend to have furniture on them, as you don’t have to worry about it sinking into the grass. Decking can be installed without digging up any ground. However, you will need to add ventilation for underneath to prevent mold. Decking also requires staining to protect it from the elements. It’s great if you want to create a raised area to create sections in your garden. A patio requires digging down 15cm into the ground for you to lay down hard-core, then bedding mortar, before finally laying the patio slabs on top. You’ll need to dispose of the excess soil and consider whether you want also to apply a sealant to the patio. It’s ideal if you want to keep your garden one level for accessibility. For dispose/dump of the soil, you can use gorilla dump cart. A hot tub adds an element of luxury to any space and can be enjoyed both with friends or on a quiet summer evening. You can choose from either a hard side or inflatable design, each having their benefits. Inflatable hot tubs don’t always have a heater, meaning the water doesn’t stay hot for long. However, their position isn’t necessarily fixed so can be moved around your garden. A hard side hot tub is fixed in position, but this is because it is electrically wired to enable heating and jet features. Your budget could ultimately decide which type you choose, with inflatable usually being the cheaper option. This is a sure-fire way to make your garden the place to be this summer. Who could refuse a swimming pool on a hot day? Granted, this is an extravagant option, but depending on your climate it could be a good investment. First, you’ll want to decide how big you’d like your pool to be, and what kind. One option is an above-ground pool, which involves less excavation and could even be done yourself, as long as you’re a competent DIYer. Alternatively, you could choose an in-ground pool. These are usually installed by professionals, as it would be harder to fix any mistakes or poor work. The latter also involves the added consideration of how you’d remove excess materials, with the options being either grab hire or skip hire. A step back from a swimming pool would be a pond. This would serve a different purpose to a pool, as it adds beauty to your garden instead of something that is a bit more functional. A pond can be whatever size you want it to be, and building one can be somewhat like a pool. You can choose to dig the hole and line it yourself or buy a preformed pond. You could even have a raised pond, much like an above ground pool. Once built, you can set about adding various plants in and around the pond, such as the Pickerel Plant, White Water Lily, and Common Arrowhead. You can even add fish, depending on the size of your pond. This can result in a lovely feature enjoyed by all ages, just make sure you think about safety for young children. Kevin is an avid gardener and DIYer and enjoys reading related gardening and home improvement articles. Working for Grabco, he gets to see a lot of the projects homeowners embark on and the resulting transformations. He also picks up a lot of fresh ideas and current trends, so enjoys writing about them to share with other like-minded readers.